I really like these newly acquired plastic HO scale figures. They came pre-painted in a half-baked fashion, but that's in the spirit of my impressionistic approach to scenery and buildings. 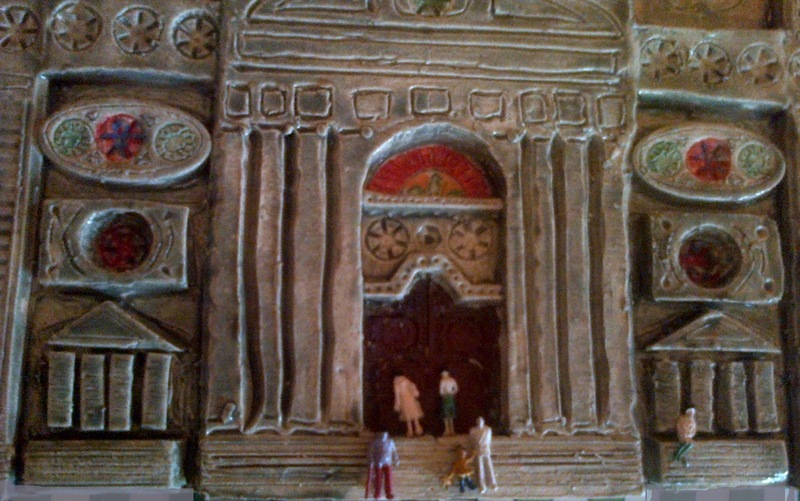 To check out the effect, placed a few figures on the steps of my ceramic church. 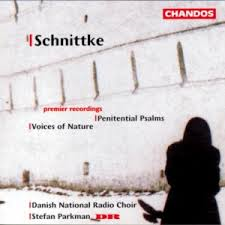 Alfred Schnittke's Penitential Psalms sung by the Danish National Radio Choir. Lamb, aubergine and mushroom stew. This was delicious. 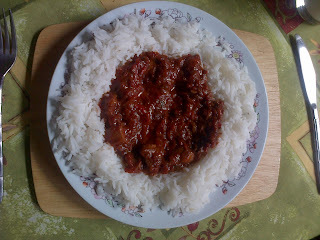 I put that down to my bunging in 7 or 8 mushrooms and a whole aubergine, peeled and chopped into approx. 2.5cm cubes. Out of laziness, I did not pre-fry either the mushrooms or the aubergine.